Russia’s actions are an immediate threat to Ukrainian national security. Russia’s actions are an immediate threat to Ukrainian national security, and pose a strategic threat to the interests of the West. Russia has substantially increased its presence in Black Sea since its annexation of Crimea in 2014. Under Russian administration, Crimea plays host to Bastion and Bal coastal defense systems that both employ anti-ship missiles. Conceivably, the Bastion system can reach the Black Sea straits as well as Ukrainian, Bulgarian, Romanian, and Turkish ports. Russia has also deployed S-400 air defense systems to the peninsula with the capability to target strategic bombers, ballistic, and cruise missiles as well as surface targets. The S-400 system is further enhanced by the Pantsyr S1 anti-aircraft missile and gun systemwhich was provided to the Crimean air defense forces. Through these measures, Russia has established an anti-access/area denial (A2/AD) zone over the Black Sea. The establishment of this A2/AD zone means Russia has the capability to block NATO access to the Black Sea. Granted, NATO’s presence in the Black Sea is limited, but the threat remains nevertheless. Russia’s moves in the Black Sea threaten Ukraine’s national security. While NATO’s interests aren’t directly threatened by Russian actions in the Black Sea, Ukraine’s are. Russian military deployments in the Black Sea region act as a deterrent to other Western forces who might consider assisting Ukraine militarily. Moscow’s control over the Black Sea and the Crimean Peninsula has also resulted in Russian control over the disputed Sea of Azov. Prior to the Crimean annexation, Ukraine and Russia shared sovereignty over the sea. However, in the wake of the annexation, Russian President Vladimir Putin claimed that not only was Sevastopol perpetually a part of Russia, but Crimea as well as the Sea of Azov were inherently Russian, as well. In the case of the Sea of Azov, Russia’s actions speak louder than words. 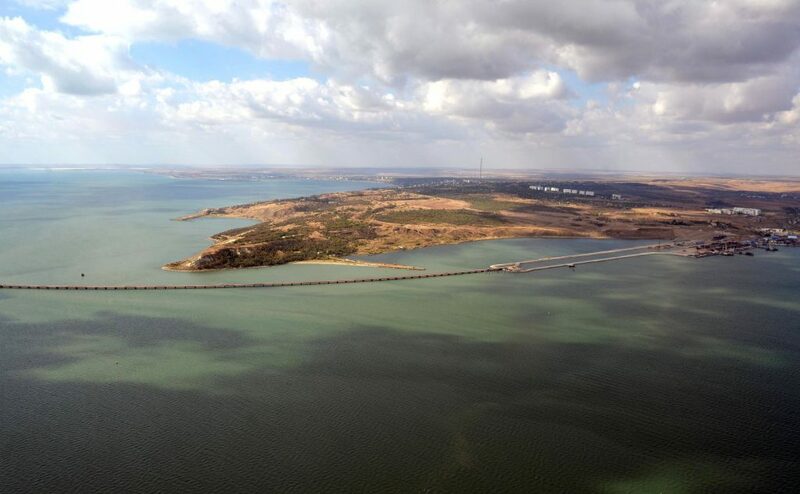 Earlier in 2018, Russia completed construction a bridge over the Kerch Strait, explicitly setting it at a height which prevented any Ukrainian commercial ships from transiting the Strait. In doing so, it has threatened the viability of Ukraine’s ports of Mariupol and Berdyansk. Furthermore, Russian officials have illegally boarded Ukrainian ships, essentially preventing Ukrainian usage of the Sea of Azov. These illegal actions act are parts of a psychological operation to convince the Ukrainian people that Russia has a right to act with impunity in its “near-abroad.” In other words, Russia is attempting to persuade Ukraine that NATO and the greater West lack the will to intervene on Ukraine’s behalf, despite political rhetoric to the contrary. Russia finally gets what it wants. 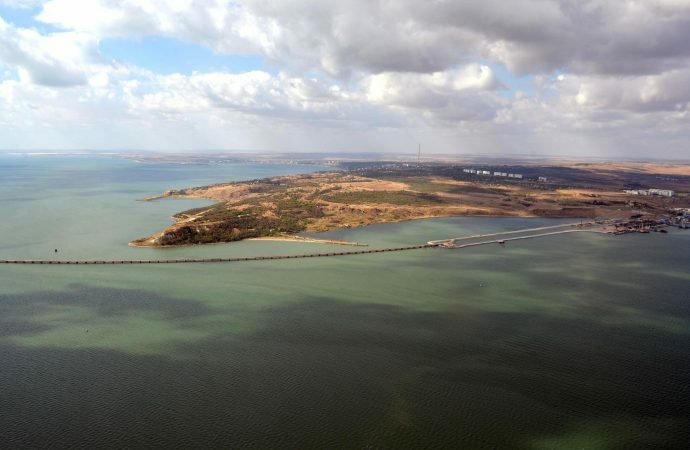 In addition to impeding Ukraine’s political shift to the West, Russian objectives in the region include obtaining and maintaining access to and control over a warm water port. The A2/AD zone means that Russia has open access to the Balkans and the Mediterranean Sea. Access to a warm water port has been an objective that has been a cornerstone of Russian foreign policy since the days of Gregory Potemkin, an advisor to Catherine the Great. Potemkin advocated for Russian southward expansion through the Balkans, the Caucasus, and the northern Middle East. With control over the Black Sea, Russia has the capacity to embark on a significant naval buildup. This buildup would give a much-needed boost to Russia’s stagnating economy. Access and control over the Black Sea also gives Russia a springboard from which to project power into the Middle East, the Balkans, and the greater-Mediterranean. Given Russia’s involvement in the Syrian war, this ability to project power could have measurable implications for that conflict. Russia has also been conducting a soft power offensive in countries like Bulgaria, Greece, and Serbia, and looks to be maintaining its partnership with Armenia. Russia is also taking steps to improve regional tensions, calling for an end to the Syrian war and agreeing to a resolution to the dispute over the legal status of the Caspian Sea. The consequences of a delayed or minimal response to Russia’s increasing control over the Black Sea could be substantial. The Black Sea is but one example of Russia’s slow-but-steady consolidation of power and influence across the Eurasian landmass. If the United States and its fellow NATO allies fail to act, it may be too late to reverse shifting power dynamics in a region of major strategic value.